Steema | TeeChart for .NET 2012 Mono Chart Library for iOS released! TeeChart for .NET 2012 Mono Chart Library for iOS released! Steema is pleased to announce the availability of the first release of the TeeChart for .NET Mono Charting Library for Apple's iOS mobile platform. The TeeChart Charting Library offers 50 Chart styles and 38 mathematical functions and a full set of Chart tools components for additional functionality. The TeeChart NET v2012 Mono for iOS license provides support for Apple's mobile iOS platform and includes one year subscription including all minor and major upgrades and technical support services. Optional 100% sourcecode is available. The Charting library is built using TeeChart for .NET's C# code in MonoDevelop with support from Xamarin's Monotouch NET Framework. 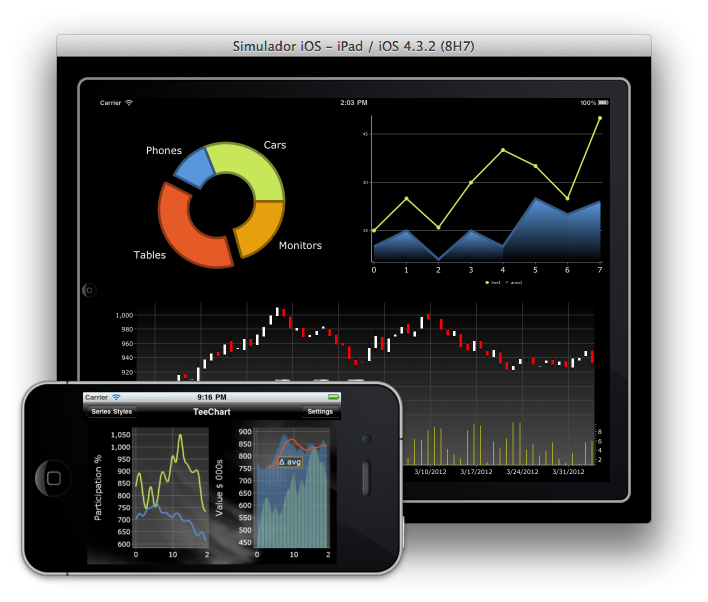 Use the .NET C# code to create Charting applications for iOS' iPhone, iPad mobile platforms. 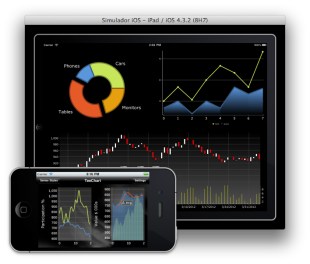 The TeeChart Charting Library for iOS includes C# demo code written using MonoDevelop. The Chart Component for iOS/iPhone may be debugged online using the emulator through MonoDevelop with MonoTouch framework support or by using the physical device directly. A fully functional evaluation version is may be accessed via this link to the NET evaluations download page. For more information see TeeChart's Mobile pages.